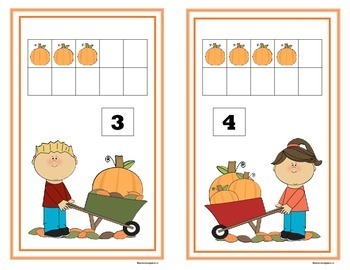 Your students will enjoy counting 1-10 when they use these cute apple and pumpkin 10 frame counting mats this fall. Besides 2 different designs, we have also included 3 options for all your counting needs. 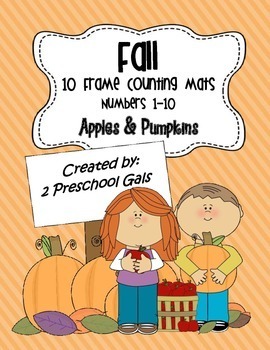 (pictures and numbers, pictures without numbers, and blank frames with numbers) We suggest using red and orange puffballs or buttons. Apple and pumpkin shaped erasers also work great as manipulatives. 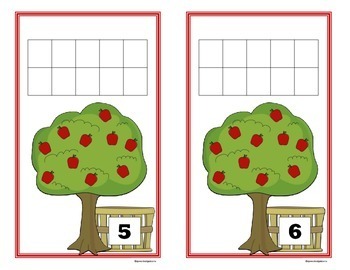 We have also included a set of number cards 1-10, an addition worksheet, and a subtraction worksheet. Our store also carries numbers 11-20 and a bundle set 1-20 at a discounted price. 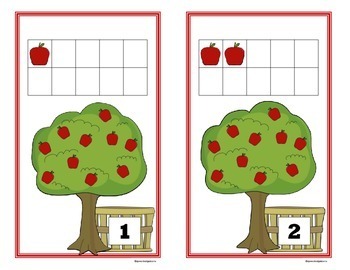 This math activity aligns with Common Core.